The Mikaela sandal is from the Naot® Campus Collection, which runs as a Wide width. 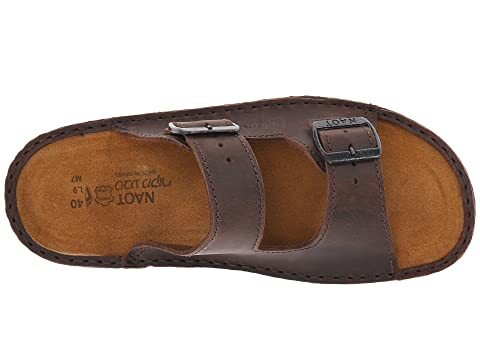 Roam the streets in casual comfort this season with the Mikaela sandal from Naot. 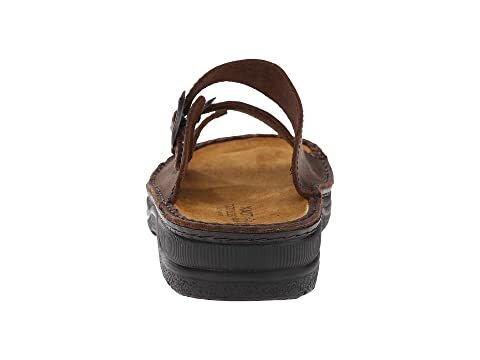 Rich leather upper with two adjustable straps across the instep to allow for a personal and secure fit. 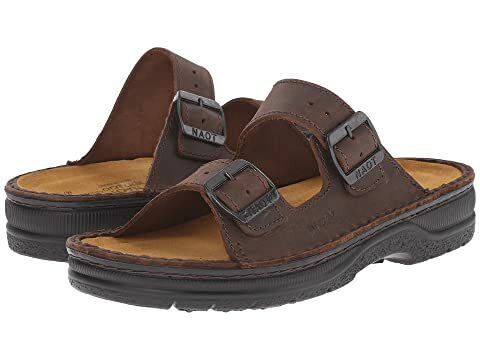 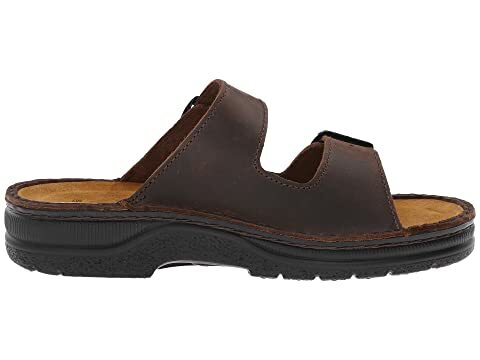 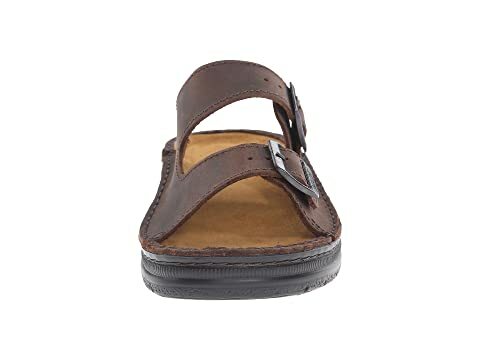 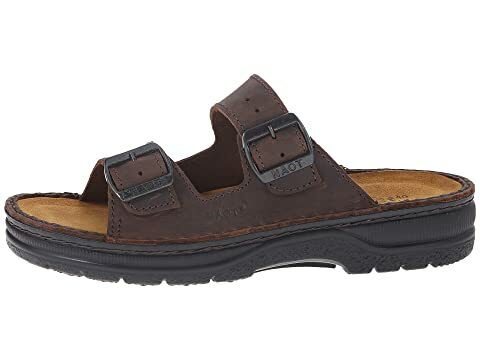 Smooth leather lining and suede-covered footbed help wick away moisture to keep feet healthy and dry. 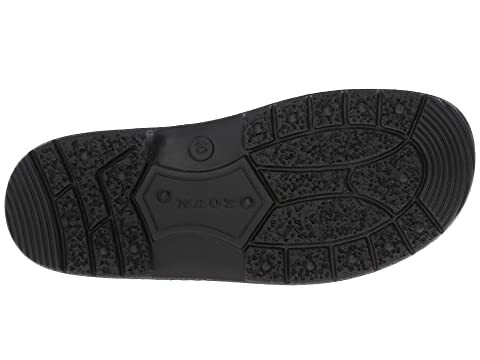 Flexible polyurethane outsole is designed for rugged outdoor wear as well as everyday comfort.